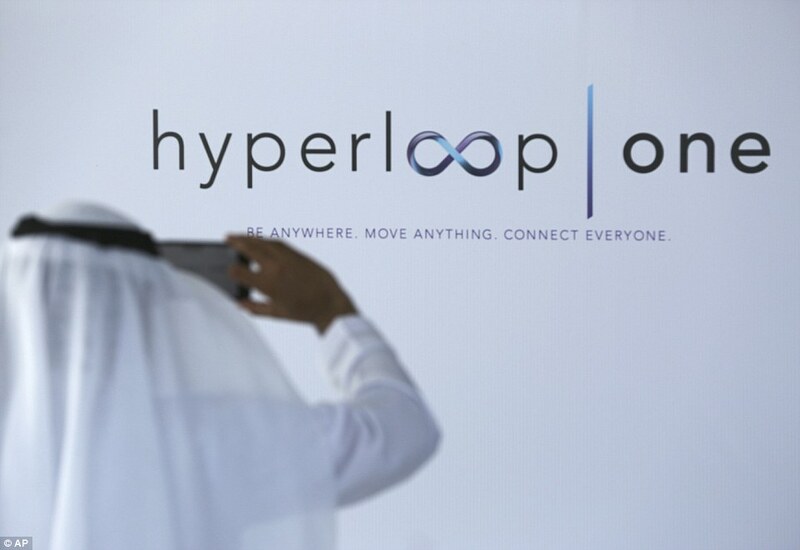 The U.S. startup company Hyperloop One and the city of Dubai created a deal to begin to evaluate the construction of a near-supersonic transportation system that could cut back travel time from Dubai to Abu Dhabi to just a few minutes. Dubai agreed to conducting a feasibility study to see if this transport link could be possible. The deal with Hyperloop One includes exploring a route for what would be vacuum sealed pods, which would cut down the travel time between the two cities, which are 90 miles apart to just about 12 minutes. Hyperloop One is working closely with the Dubai Roads and Transport Authority, which is being assisted by the Dubai Future Foundation, which is a government backed foundation that matches together investors with innovators. A prototype is being built first, which is more utilitarian than utopian, which is enabling Point A to Point B to Point C, etc. travel between hypersports. The Dubai to Abu Dhabi is to be the first functioning Hyperloop system in the next few years. It is expected to be about 200m/h faster than taking a plane, with the hyperloop system reporting to have speeds of about 1,100 km/h. The ultimate goal of the hyperloop is to not only be able to cover distances in record time, but to also provide a personal connectivity, this happening by people having more social events or other social events that they would perhaps miss due to travel time. Hyperloop wants to have individual passenger pod-like structures that would have transportation capabilities from door to door. The Hyperloop system would have would be integrated with already existing roadways. The appeal of having the Hyperloop system in Dubai and Abu Dhabi has to do with their emerging and growing economies and the fact that they are becoming more and more global cities for business. Many of their residents also work and live in neighboring cities, which allow for long commutes. The thought is also to have the transport system expanded, so that the UAE can be linked with neighboring countries. However the problem is not the technology, it’s the price of the Hyperloop system. They want to try to make it low enough so that the ticket prices would be comparable with other public transportation options. Dubai is also working on the goal to have at least twenty five percent of their public transportation to be driverless by the year 2030. This system is not meant to be a luxury, it’s meant to be a quicker transportation option. At least that is the goal with the Hyperloop system. Dubai wants to try to have a intra-city hyperloop that can serve the Expo 2020 which will be held in Jebel Ali. Hyperloop One is also working on developing a cargo transport Hyperloop system as another project for the Dubai Port. It will be interesting in coming years to see the progress of the Hyperloop system. For Dubai to become the home of the first active Hyperloop in the world would be a great thing for the emerging global city and in the verge of becoming a futuristic city.